7:00 PM TO 8:30 PM. 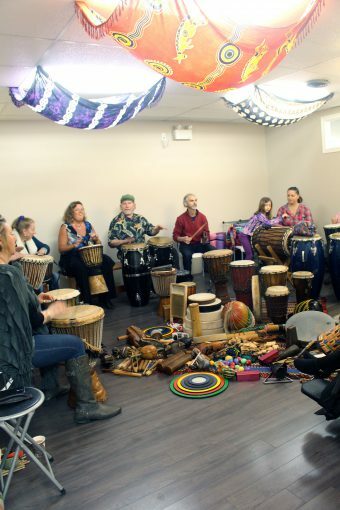 Recent research indicates that drumming accelerates physical healing, boosts the immune system and produces feelings of well-being, and a release of emotional trauma. Besides that.. its just plain fun.